Why do companies use recognition? LinJen offers expertise in the Incentives and Recognition arena. Partner, Linda Heyse-Highland, has over thirty years of program experience. Safety, Sales, Productivity, Innovation and Customer Service are a few of the categories in which we have developed programs. Linda’s expertise has been recognized as a speaker for both the Motivation Show in Chicago and for PPAC. We help companies improve employee performance, recognize their success, increase their safety execution while maintaining a positive return on investment. Let us help you create a culture of pride, inclusiveness, loyalty, accomplishment and success. People make the difference. Listening to your company’s vision, LinJen will create programs to value, encourage and recognize your employee’s contribution. Search our free recognition tools. Learn why and how to use recognition. Get templates, action plans and measurement tools. See recognition awards by type, function, price and more.Click here to visit our Recognition Resource Center. Recognizing your employees' years of service is one of the most important areas in employer/employee relations today. Click here for information about Service Awards. Wellness programs are becoming the fastest growing HR initiative in the country. Click here to learn more. LinJen Promotions offers safety awareness and reward programs. We help you to strengthen and encourage safe behaviors in your workers through a variety of campaigns and strategies. Click here to learn more. What do you need from your Recognition supplier? You have challenges and goals. Maybe you want to reinforce good behavior or instill it. Maybe you need to increase sales, acquire new accounts or revive inactive ones--whatever your challenge, LinJen can help you find unique solutions. How? By engaging your employees and customers, communicating to them and motivating their efforts we can accomplish those goals. LinJen has behavioral experts to guide your projects. We consult with industry specific specialists, engage in client/industry associations and maintain our knowledge through ongoing education. Working with your budget, LinJen creates the campaign—theme, design, online gifts of choice, branded product selections, certificates, awards—the experience of feeling appreciated (engaging employees and customers alike). LinJen offers the latest recognition technology. For online gift selections we have personalized websites, wish lists, certificate recognitions, hierarchy permissions, reporting features and more. In the plaque, desk, mantle award catagories: new four color processes give rewards a vibrant appearance. Our latest technology, DYR, provides online shopping where clients can download their image, choose their materials and have pieces sent out in three working days. There are digital awards such as music, skins, photo books. There are personal assistance services offered as rewards. If you want to use QR codes or wish to TEXT your recipients, LinJen can create programs using these new products and services. 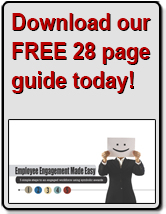 Want to learn more about increasing Employee Engagement?